Netflix plans increase in monthly rates for new subscribers | What Hi-Fi? Online video-streaming company planning "one or two dollar increase", with existing members also facing price hike after a "generous time period"
Netflix has revealed it is planning to increase monthly subscription rates for new members "later this quarter", with a one or two dollar hike being proposed "depending on the country". The online video-streaming company said an increase in prices for new Irish members – which saw its rates jump from €6.99 to €7.99 in January – had a "limited impact" on sign-ups. Netflix said the move had included "grandfathering all existing [Irish] members" at the €6.99 rate for a two-year period, but the company did suggest existing member rates will go up. In a letter to shareholders (PDF) to accompany its Q1 2014 results, Netflix revealed that "existing members would stay at current pricing (e.g. $7.99 in the US) for a generous time period". 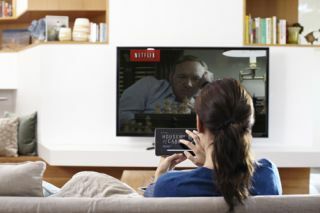 The news comes just a month after Netflix CEO Reed Hastings criticised some internet service providers in the US for charging the firm to ensure high-quality video streaming. Reports in February suggested Netflix had agreed a deal with Comcast that included a fee paid to ensure "high-quality video experience" for Netflix customers signed up with the ISP. Netflix is also making progress with the Ultra HD 4K video streaming service, with the second series of House of Cards marking the launch of 4K streaming capabilities in the UK market. The 4K floodgates aren't opening just yet, however, with a Netflix spokesperson revealing to What Hi-Fi? that there's only a limited number of Ultra HD titles available to start with.